As Google prepares its marketing channels for the imminent Nexus 7 release, Apple cannot bear the competition and decides to give enthusiast a little push towards their tablets, by releasing bits of information about the iPad Mini. Sources close to the matter report that the so called “Mini” iPad will be a device with a 7.85-inch wide screen that will cost “significantly lesser” than the latest Apple slate, the one tagged with $499. Some of the information was already suspected by various sources, including us, but the fact that the leakers strained themselves from comparing the price with a lesser mark, let’s say the one of the iPad 2 which is now around $399 (even $299 on some shops), intrigues us. Without question, the iPad Mini has to sell way lower than the $499 in order to attract clients and be competitive, and as previous rumor suggest, the device may cost just $199. Another choice could be $249, a sum which sets the tablet a bit pricier than others of its class, but one that can be accounted for the larger display. It would be a wise move from Apple to choose the 7.85-inch size instead of the plain 7 for the iPad Mini, because this will give owners a slightly bigger screen and bigger viewing area, than on other devices that fit in the same “weight” category. Also, we previously reported that the iPad Mini will have a 40 percent more display space than the Kindle Fire, a rumor now strengthened by NewYorkTimes. 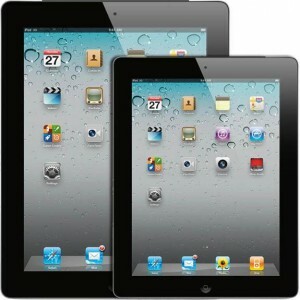 NYT sources claim that the iPad Mini will be released until the end of this year, most likely this fall in October. This time-frame may also be used by Apple to release another device that is on everyone’s lips in the last period, the iPhone 5. The iPad Mini isexpected to have 3G connectivity, a feature that is not present neither on Nexus 7, nor on Kindle Fire devices, giving Apple a slight advantage over the market. This extra antenna will allow owners to use the slate as a mobile phone and make a call using the included headsets. As for the body, a very thin design that borrows the curves of the iPod Nano 3 may be used. Comparing its form factors with the competition, Apple’s tiniest tablet is rumored to be a bit wider and slimmer.